A short walk along the old harbour wall and on to the cliff top which reveals the beautiful St Bride’s Bay. 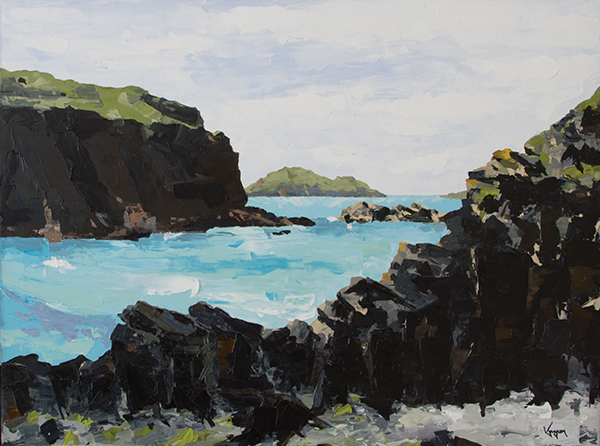 On a hot summer’s day in 2013, the colour of the sea was simply breathtaking and I knew that I had to do a painting of this secluded little bay. It pays sometimes to explore an area you visit as in this case, this little bay was tucked away from the main tourist area. I was so pleased to have found this peaceful little spot.